With its large cabin and transcontinental range, the Falcon 2000 can seamlessly complete nonstop flights in exceptional comfort. Flying at fast cruise speeds, the Falcon 2000 offers great performance and high capabilities. Comfortably accommodating eight to twelve passengers, the Falcon 2000’s cabin has a volume of 1,024 cubic feet. With a wide variety of seating arrangements available, the cabin can be implemented for as many as 19 passengers. Maximum comfort is added with the seat’s ability to transform into beds, allowing passengers to lay down or sleep at any time. Additionally, 134 cubic feet of baggage space can easily hold up to 1,600 pounds of luggage. The Falcon 2000 is equipped with two axial-centrifugal flow engines, each producing 5,918 pounds of thrust. The engines not only improve runway performance at high altitudes and temperatures, but they also power the aircraft to climb to 37,000 feet in just 19 minutes. The Falcon 2000 can fly a range of 2,975 nautical miles at a high speed cruise of 479 knots. The flight deck is equipped with the Collins Pro Line 4 system which is designed to be as simple as possible. The system runs across four large display screens, which are close to the functions that they control for ease of pilot workload. 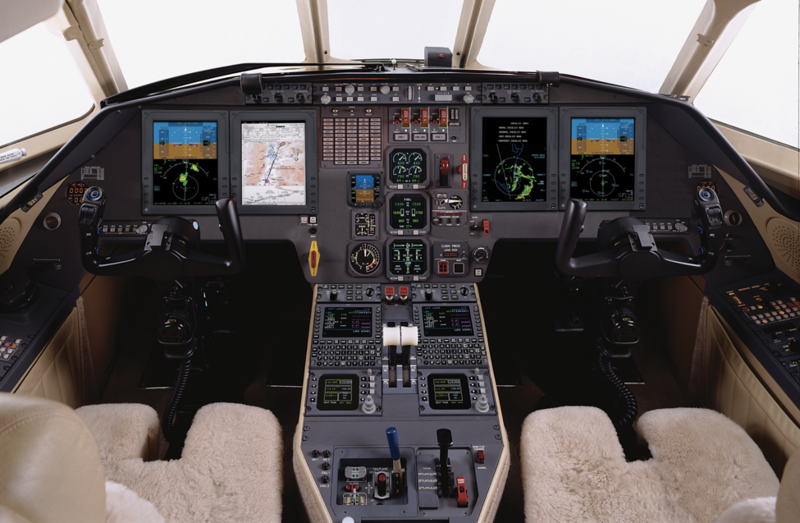 The system also comes standard with a flight management system, Doppler weather radar, and a dual channel Integrated Avionics Processor System. 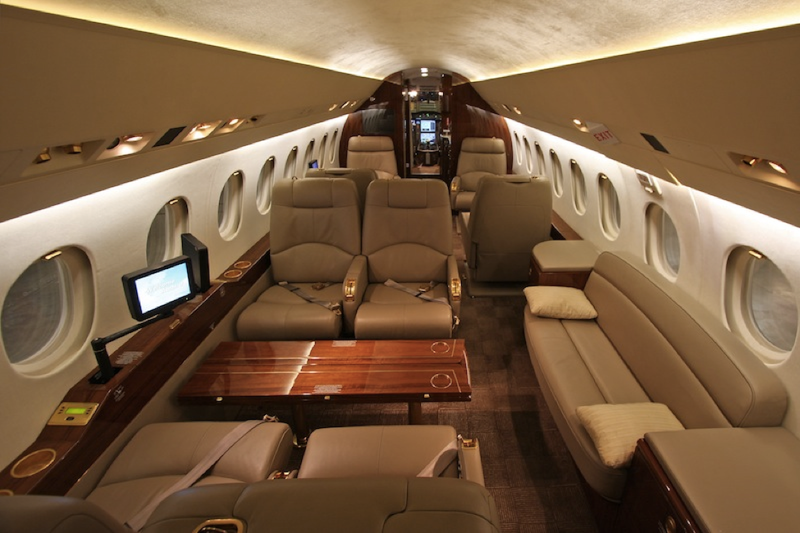 The Falcon 2000 can easily complete nonstop transcontinental flights and was made to provide ultimate comfort. This aircraft is easy to maintain and was designed to spend as little downtime in the shop as possible for exceptional convenience.